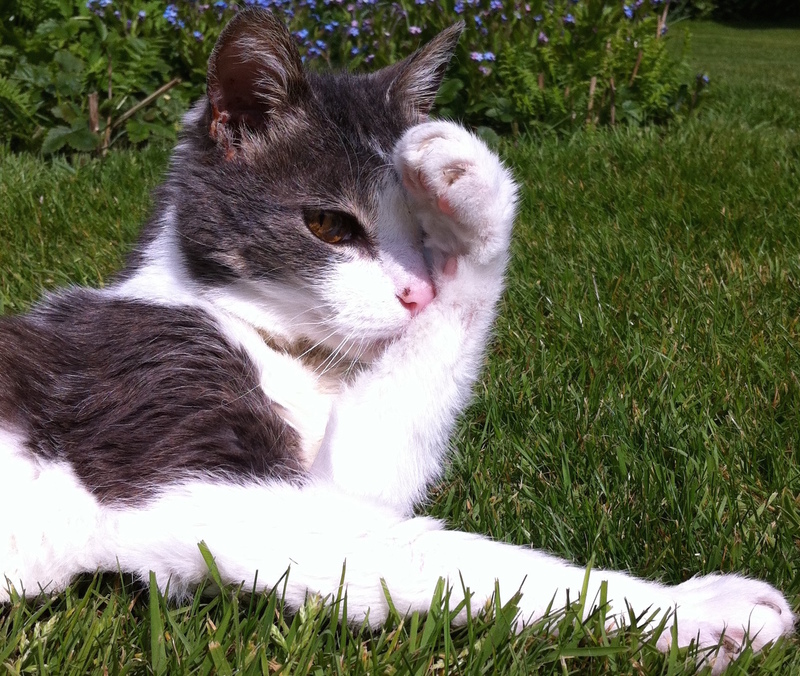 Today is World Kidney Day, so today’s blog is about a very common problem we see in older cats- Chronic Kidney Disease. The kidneys’ job is to filter waste products from the blood. In cats, the kidney function deteriorates slowly over time, eventually leading to Chronic Renal Failure. The most common and often first noticed sign is increased thirst. You may notice that your cat starts drinking from more unusual places such as taps, sinks and water butts. If your cat uses a litter tray in the house, you may see her using the tray more frequently too. Other signs can include a reduced appetite, vomiting and general malaise. If your vet suspects kidney disease, they may suggest running a blood and urine test to confirm the diagnosis and also to check for any other problems such as an over-active thyroid or high blood pressure. If your cat has been diagnosed with kidney failure there are many things we can do to help to slow the disease progression. The first thing we suggest is changing your cats diet to a special prescription food which helps support the kidneys. Medication can be used to treat secondary problems such as nausea and vomiting, high blood pressure, poor appetite and urine infections. Unfortunately, signs of kidney disease in cats often don’t occur until the disease is at a fairly advanced stage, so if you have any concerns about your cat’s health please give as a call to arrange an appointment with one of our vets. Our final weight loss blog is on body condition scoring. Weight alone can be misleading because dogs vary so much in size- a Great Dane will obviously weigh a lot more than a Yorkshire Terrier! For this reason body condition scoring can be really helpful. 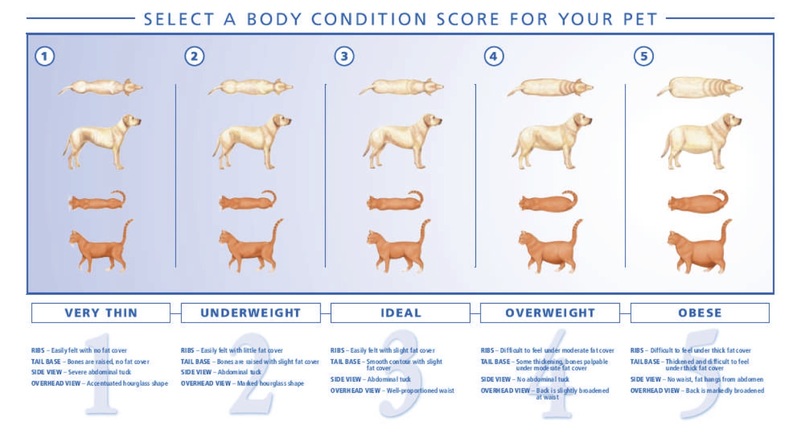 It has been shown that the body condition score, or BCS, is related to the percentage above which dogs and catsare overweight and consequently can be used to suggest a target weight for dieting overweight pets. Since even within individual breeds there are a range of shapes and sizes that dogs come in, body condition score allows target weights to be tailor made rather than just suggesting the breed average. Once on a diet, body weight is used as a precise measure of the progress you pet is making. 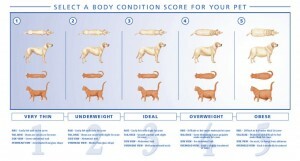 This diagram gives the basic principle of how to body condition score your pet. 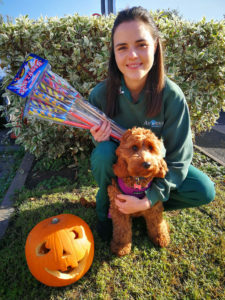 If you are unsure, or would like to discuss your pet’s BCS, please talk to one of our nurses. Big cats equal big problems. 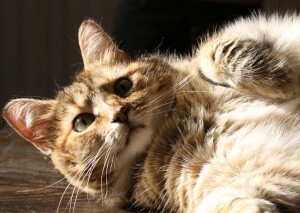 In the first of our blogs on obesity in cats, veterinary nurse Maddi explains why cats become overweight, how to tell if your cat is overweight and the health problems it can cause. Obesity in cats is a very big problem. 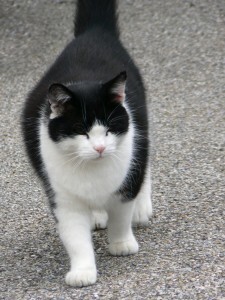 It is estimated that 25 to 30 per cent of cats in the UK are obese. In the short-term and in severe cases it results in mobility and joint problems such as arthritis. If left untreated obesity may also lead to more severe health concerns such as diabetes or cystitis. Determining your cat’s level of obesity is something you can do easily at home by using the body condition scoring system. In a healthy cat, it should be possible to feel the ribs and spine under the skin with the flat of your hand. A well-defined waistline should also be evident, without any sagging or drooping. If you are concerned your cat may be overweight, or you are unsure, discuss this with your vet or vet nurse- understanding your cat’s body condition will us to advise you on the best course of action. The reason for obesity is usually due to an excess of calories, which most commonly come from unnecessary treats and fatty human food. It is worth mentioning that neutered cats require 20% less calories than entire cat which is a common oversight and source of weight gain. There are a wide range of foods available which are developed with different life stages in mind, so be sure to check and adjust your cat’s diet accordingly. Of course, as well as too many calories, a lack of appropriate exercise will also contribute to obesity in particularly lazy cats! Just like humans, some cats are naturally more prone to obesity than others, but the need to control your cats weight is still very important to ensure a happy and healthy life. If you notice that your cat is larger than average, or excessively lazy, then there are several steps that you can take to help reduce his risk of problematic weight gain, including strict control of calorie intake, and encouraging regular exercise to help trim and tone those baggy waistlines. 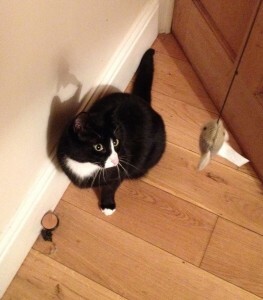 In the next blog we will look in more detail at ways to help your cat lose weight.